Our Milk thistle comes from Europe. Milk thistle ( Silybum marianum ) is a plant from southern Europe , North Africa and the Middle East and is about 60 - to 150 cm tall. The waxy leaves have yellowish spines. The name goes back to the legend that the white spots on the leaves could be caused by the milk of Mary. 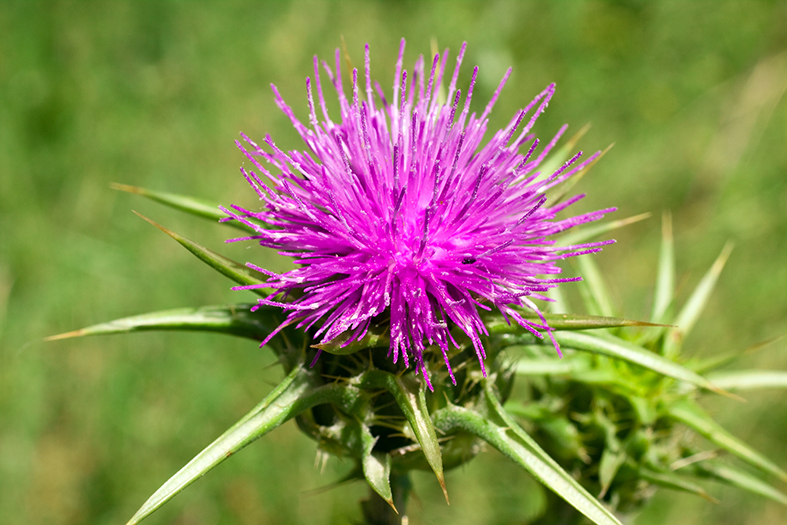 Milk thistle blooms in July and August, with pink to purple flowers. The plant we can also be found in the Netherlands on nutrient-rich calcareous soil, for example roadsides. The seeds are used for centuries for medicinal purposes . The substance silymarin is used to protect the liver and is also used in case of poisoning by mushrooms. Silymarin can be found in our products Liver Love and Hang -Over.